Summaries of a few of our recent case studies. or use the search tool to view case studies by service type or industry type. Ecliptic is the world’s leading supplier of rugged video systems for use on rockets, spacecraft and in other extreme environments. As a Department of Defense (DoD) contractor, Ecliptic was concerned about meeting the strict cybersecurity regulations (DFARS 252.204-7012) which requires all contractors to adhere to the 110 controls contained in the NIST SP800-171 rev1. Failure to meet the cybersecurity requirements would jeopardize their DoD contracts. CMTC met with Ecliptic’s senior staff and proposed a plan to progress towards implementation and compliance with DFARS 252.204-7012. CMTC's expertise and guidance in developing and implementing cybersecurity plans training, documentation, and policies and procedures tripled Ecliptic's adherence level of the 110 controls in the NIST SP800-171 rev1 and positioned them to be able to report positive progress towards DFARS 252.204-7012 compliance goals consistent with the requirements of their prime contractors. Ecliptic Enterprises Corporation (Ecliptic) was founded in 2001 as a manufacturer of video and imaging systems for use on rockets and spacecraft. Since then, they have expanded their product offerings to include the production of space avionics and sensor systems to control experiments on board rockets, orbital spacecraft (satellites) and the International Space Station. Ecliptic desired to focus their varied sales and marketing ideas to determine which current and future markets could provide the most potential for growth. CMTC met with Ecliptic’s senior staff and proposed a Technology Driven Market Intelligence (TDMI) engagement. The TDMI engagement helped Ecliptic identify and characterize the markets, trends, value chains, competition and companies of most interest and relevance to Ecliptic, resulting in $2.0M in increased sales, 2 new jobs, and $200K in cost savings. 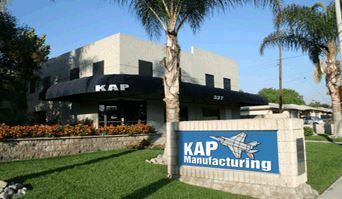 KAP Manufacturing was formed in 1997 with the goal of providing customers in the Aerospace and Defense Industry with quality parts from a precision machine shop. As part of KAP’s strategic plan to focus on the Aerospace and Defense Industry, KAP obtained AS9100 certification of their Quality Management System. With an impending certification audit, KAP wanted a quick training and upgrade program of their current QMS to the Rev. D standard. KAP connected with CMTC whose consultants worked closely with the organization to develop an implementation plan for them to become AS9100 revision D certified. After the training was concluded, KAP successfully passed the audit to achieve AS9100 Rev. certification, allowing them the ability to continue to meet the requirements of their larger aerospace clients. This resulted in $800K in new sales, 1 new job and $15K in cost savings. variety of businesses. Warren Packaging was going through a period of rapid growth and change. Unable to meet increased demand from their customers, they began suffering from high lead-times and poor customer satisfaction ratings, resulting in a loss of orders to competitors. There were also quality, workplace organization, and inventory control issues, as well as a lack of key performance indicators. Warren Packaging connected with CMTC and a Lean Manufacturing transformation project was designed to address the company’s issues and position Warren Packaging for growth. After implementing improvements in four key areas: leadership and culture; information flow; material flow; and process efficiency, CMTC enabled Warren Packaging to focus on growing their business. The result was $1.5M in increased sales, 6 new jobs, and $175K in cost savings. For a full list of our manufacturing resource documents, coming events and future event topics, please click through to our CMTC Resources pages where you can download a variety of documents, attend events and propose topics for future events.